Join us for great food, discussions, and a book signing with Scott Tong, correspondent for NPR’s Marketplace. 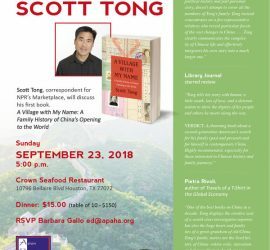 He’ll be discussing his first book: A Village with My Name: A Family’s History of China’s Opening to the World on September 23rd at 5:00pm at Crown Seafood Restaurant. Join us on March 2nd for CPC’s 65th Annual Scholarship Ball! 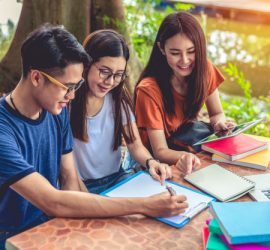 We strive to fundraise as much as possible every year in order to send as many students to college as we possibly can. It’s time to play golf for CPC again. I apologize being late organizing this event this year. How does 10/13/2018 sound to you? Join us for the gala of the year where we will award scholarships to exceptional students of the community! 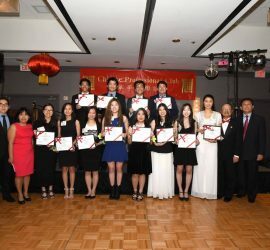 Help us bring Chinese Americans to a higher level, professionally and socially.